If you start sneezing and get red, watery eyes every time you’re around cats, you might not be doomed to a life without a kitty to cuddle. Some people can develop an immunity to specific, individual cats. However, getting there may take some time. If you’re prepared to suffer through feeling like you have the flu or a bad cold for a few months, you might be able to own a cat of your own and not always be allergic to it. Remember, consult your doctor first before trying to overcome an allergy. Here’s what you should know about developing an immunity to cat allergies. Some people can develop an immunity to a specific cat or cats. Allergies occur because your body mistakenly sees the allergen as a foreign invader. Over time, some pet owners’ bodies may grow accustomed to the allergens of a specific cat, and their reactions will diminish, according to LiveScience. In fact, certain food allergies are treated based on a similar principle of low-level exposure over time. Even if you do develop this immunity, remember that it’s probably only to your specific cats. Most likely, your allergies will flare up all over again if you’re around new cats. 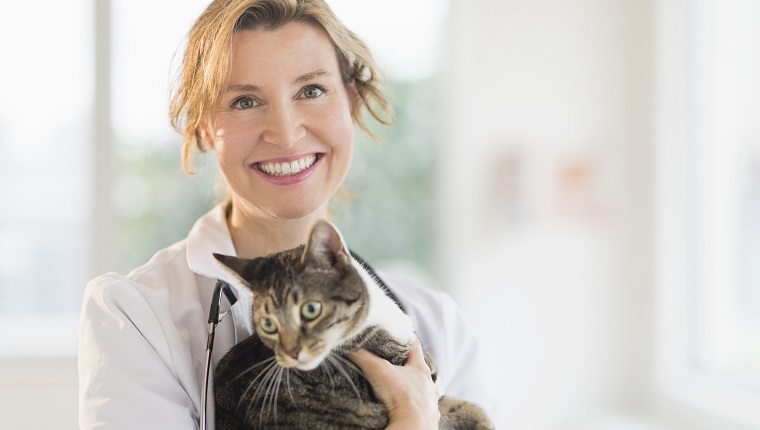 There are seven types of cat allergens, and they’re found in saliva, skin excretions, and even urine, according to Dr. Jean Hofve, a holistic veterinarian. While you’re trying to adjust to cats in your home, it may help to take specific steps to reduce your exposure to the allergens. CatTime has a great article about reducing allergens in your home. In addition to the suggestions in that story, there are a few other ideas you can try. Hofve suggests using non-toxic, anti-allergy shampoos or wipes designed especially for cats. Adding some Omega-3 fatty acids to a cat’s diet can might also help. Before trying these, consult your veterinarian. In addition, make your bedroom feline-free. This will give you a place in the house where you can go and not be exposed to the allergens. Consider adding an air purifier with a HEPA filter to help remove airborne allergens. You might also try adding probiotics to your own diet. If you don’t seem to be adjusting, you can also try getting shots to help your cat allergies. These immunotherapy shots work on the same principle as exposure to a cat over time. The injections contain cat allergens starting in tiny doses that are gradually increased. You’ll get an allergy shot once or twice a week for about six months, with boosters every three years or so. Make an appointment with your doctor so they can run some allergy tests and prescribe this treatment. Before trying any of the suggestions listed above, consult your doctor. Some people with more severe allergies, such as asthmatic reactions to cats, shouldn’t try exposure therapy because they might have a very severe response. So make sure you talk to your doctor and get an allergy test first. Have you or anyone you know been able to overcome an allergy to cats? What helped to reduce symptoms? Let us know in the comments below!